A great little football goal for five-a-side football.The 8'x6' flat pack goal is made from lightweight aluminum tube that is sturdier than plastic and allows a proper rebound of the football. With strengthened polypropylene corners and black industrial nylon connectors the goal is practically indestructible. 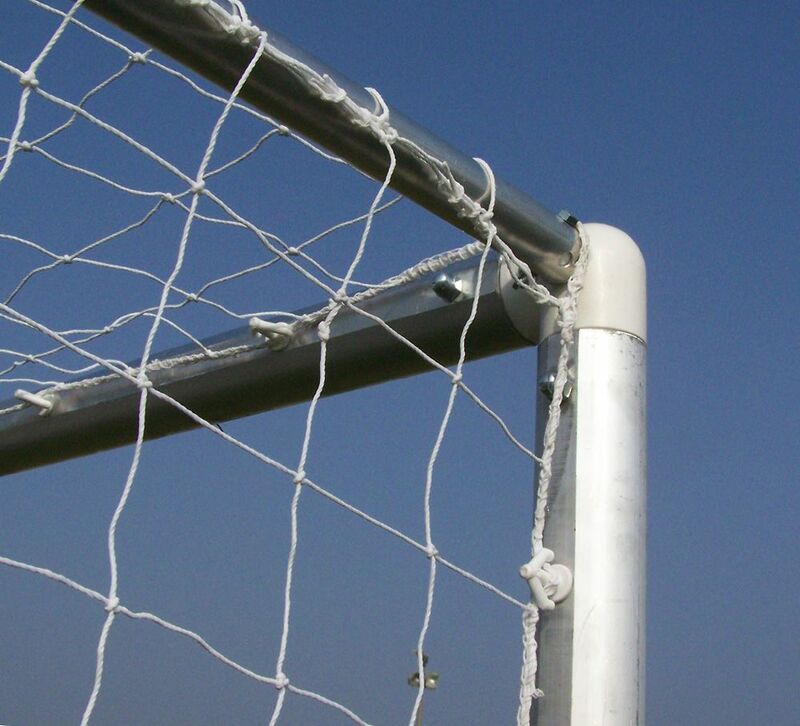 Each goal is supplied with a top quality long lasting white net, anchors and all necessary fixings.The football goal has unique net hooks to allow neat rapid fixing of nets to the rear of the posts. A superior top quality value for money British product that is safe,functional,competitively priced and has spare parts back up. 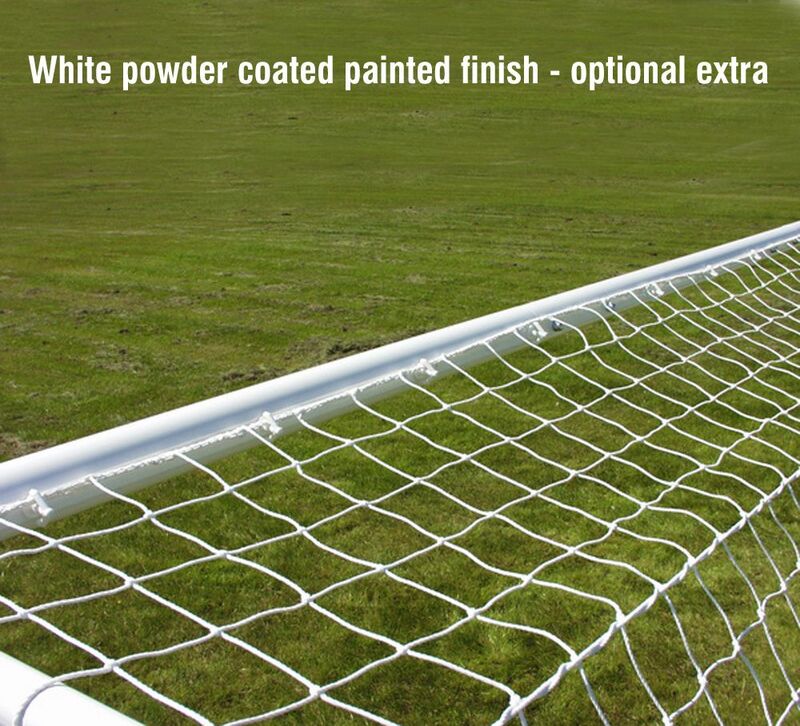 A strong easy to use football goal with a two-year guarantee.